Don’t miss your chance to see Australia take on Pakistan in this blockbuster encounter. 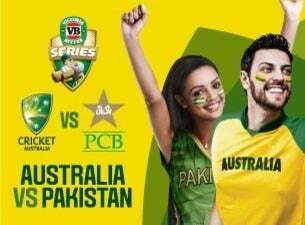 Pakistan haven’t played in Australia since 2009-10 and will be looking to use its world class bowling attack to take on the dominant Australians. Come and experience all the action and excitement – on and off the field – that is One Day cricket. Come dressed in your best costumes to be a part of all the fun. Tickets will sell fast, so book now to avoid disappointment! Pakistan haven’t played in Australia since 2009-10, and will be looking to use its world class bowling attack to take on Australia. Don’t miss your chance to experience the action and excitement of one day cricket live!